Found 4 file extension associations related to ZModeler and 2 file formats developed specifically for use with ZModeler. 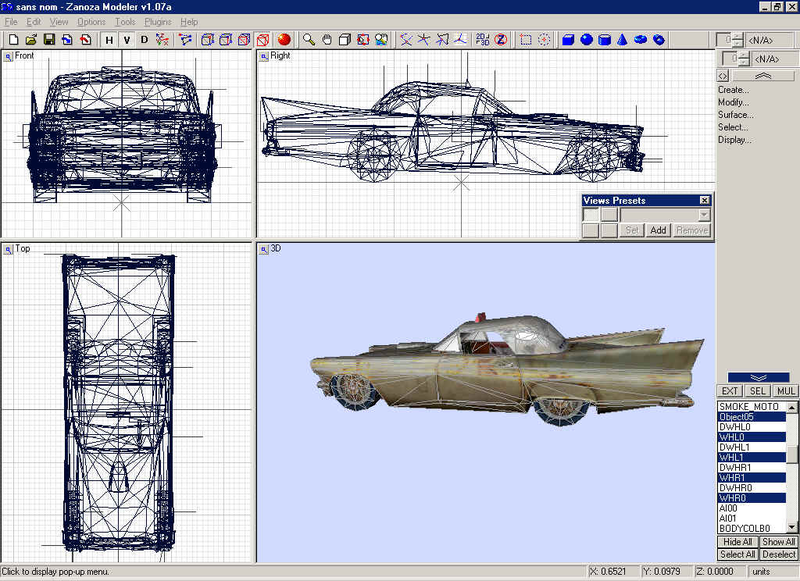 ZModeler (Zanoza Modelerr) was developed as an independ 3D editor, that makes possible creation of custom add-on objects to Direct3D based games. In a beginning it was adapted for Need for Speed 4, but later it became more independ. ZModeler is capable of complex modeling, even though it does not support important modeling functions such as chamfering, extruding, or beveling. The ZModeler file format has an extension of "*.Z3D". The ZModeler2 file format is different from the ZModeler 1x series' file format. Although ZModeler2 can open ZModeler 1 files, ZModeler 1 cannot open ZModeler2 files. Both formats have the same file extension. They are also both capable of storing unsupported data. Z3D files do not store the textures; instead, textures are separately stored as bitmaps, PNG, or other supported files types. If you need more information please contact the developers of ZModeler (Zanoza Software Developing Team), or check out their product website.